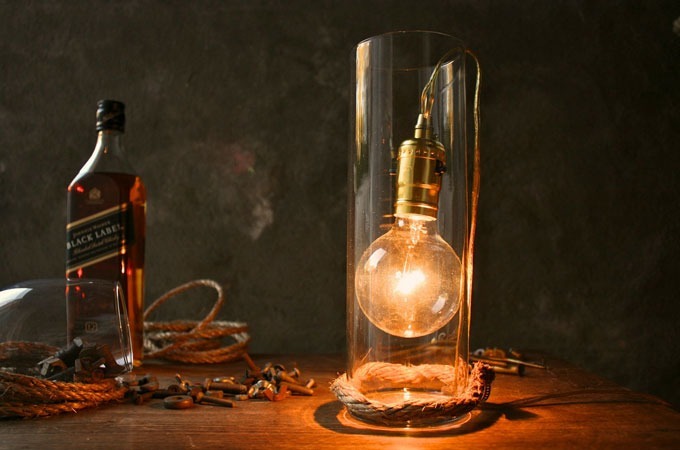 Create a gorgeous CAD drawing of a fantastic new product that will revolutionize the way people look at something. Have a CNC machine automatically mill it to exacting specifications. Even though it’s perfectly designed and produced, the odds are that the guy that did it in his basement freehand decades ago probably still has something that looks cooler. 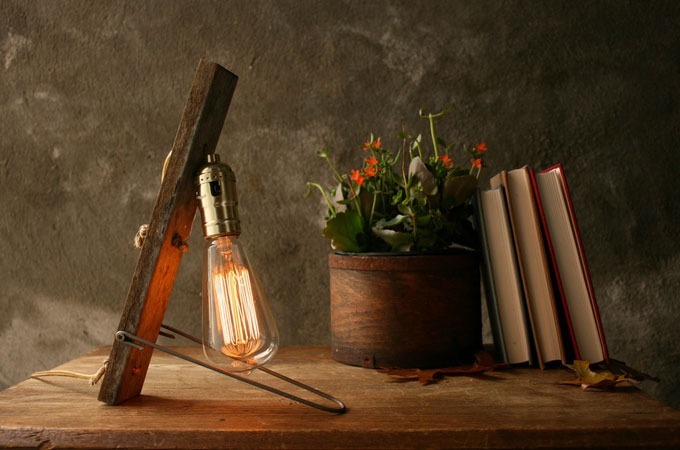 Designer and craftsman Luke Kelly creates industrial style lamps and light fixtures using common household items, some ingenuity and a fair bit of elbow grease. 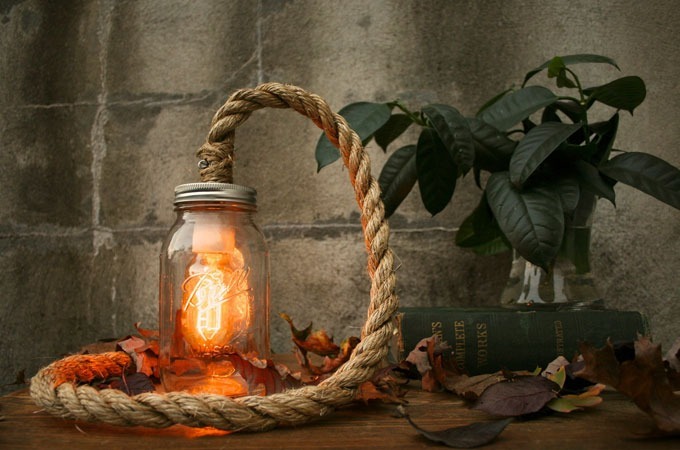 Throw in a vintage style Edison lightbulb on the end of a hanging rope light or inside a Ball mason jar and you have some of the most unique lighting you’ll find outside of Restoration Hardware.